In this digital age, for better or worse, we are bombarded with data. Since the advent of smartphones, the only thing we need to do to write a paper or solve an argument is reach into our pockets and pull out the phone. Information is readily available. But time was when mnemonics were used prodigiously to retain information not yet available on small devices living in our pockets. Can you name all five of the Great Lakes — without reaching for your phone? If not, try “HOMES:” Huron, Ontario, Michigan, Erie and Superior. Need to evaluate an algebraic equation? Simply use “PEMDAS”: Parentheses, exponents, multiplication, division, addition, subtraction. Go to Voxox.com or search on “Voxox” in your favorite app store, like the iTunes Store or Google Play. Find the Voxox app, download it (for free) and install it. Congratulations, you’ve taken the first step toward unified communications. To create your Voxox account, tap on “Sign Me Up” at the welcome screen. Now you get to create a username and password. (If you are, in fact, working in analytics you can choose something fun like pemdas.) Next, you’ll be prompted to verify your new Voxox account by entering your phone number and email address. After verification, choose a free phone number. Voxox will give you a set of numbers to choose from. This new phone number can virtually replace your current one for any and all types of communication. You know all those contacts you’ve accumulated on your phone? It would take days to enter them manually. Voxox imports them and flags other Voxox users so you know which ones you can call for free. After sign up, Voxox will politely ask you if you would like to import your contacts. With a single click on your phone, your new free calling app automatically imports not only your address book contacts, but gives you the option of importing friends from Facebook and LinkedIn. That’s one-step aggregation! Voxox version 4.2 brought you powerful Group Messing features, described in detail in a recent post here: http://blog.voxox.com/group-hug-voxox-free-group-messaging. Why send a group text? If you can send a group text, you can send a basic single-user text. 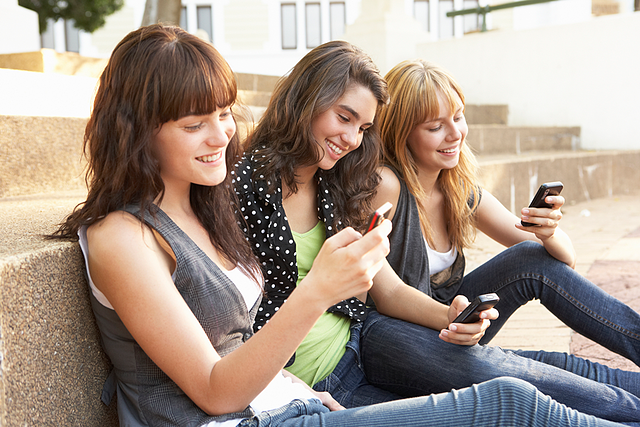 Group Messaging teaches you all the basic functionality of Voxox messaging. Free calls and texts are more fun with friends. Any of your contacts not already on Voxox can be invited to download it and join the network. Just choose their name in your Voxox address list and tap the “plus” sign on the contact’s detail window. They’ll get an email or text giving them a link so they can download the app for free! Every month Voxox gives you $1 in calling credit for free. * This credit combined with international calling rates starting at $0.019 per minute makes calling overseas cheaper than ever. International calling can have its pitfalls when you reach a language barrier. But that’s no problem when you turn on Text Translate. Texts arrive in your own language and your responses are translated for the Voxox user at the other end. The fine folks at Voxox would really like to hear from you, and feedback at the app store is a great way to be heard. We’re shooting for five stars. Let the world know how great you feel using Voxox’s free calling app. Fall in love with your phone using the Media Drawer. It allows you to share photos, video, audio, fax and even your location. There’s just one final set up step: Tell your mobile service provider to put you on their cheapest plan — because you have everything you need with Voxox!